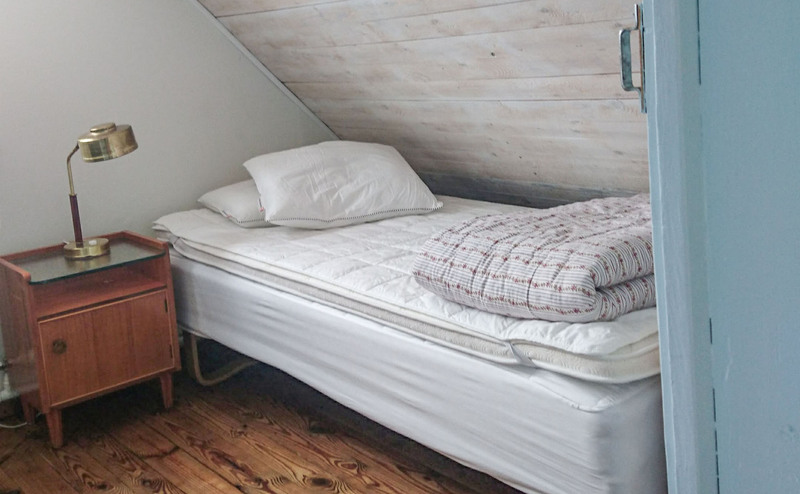 The farm also offers a cozy old maid’s room with 2 spring beds. 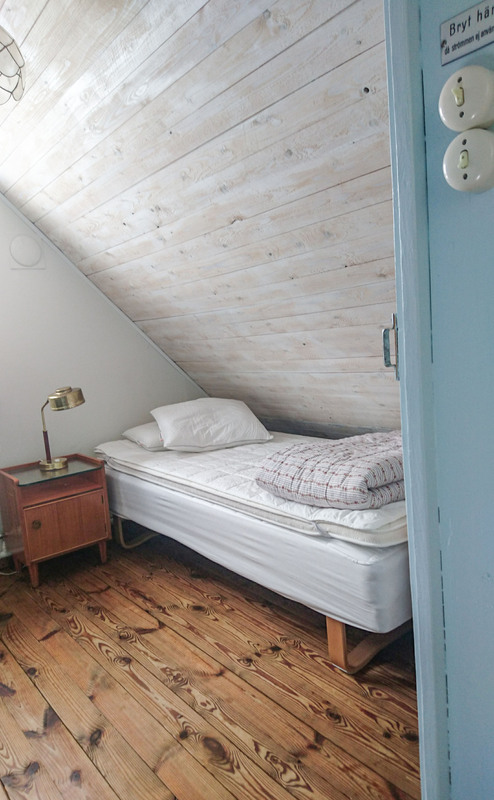 The bathroom (with toilet and shower) and the kitchen are shared with the Loft (if not vacant). 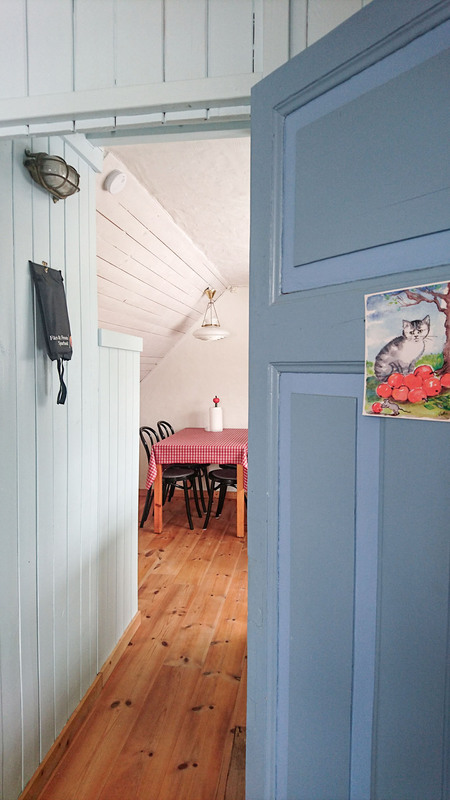 The accommodation is fully equipped for self-catering and the kitchen contains a fridge, microwave, stove, dishwasher, coffee machine and an electric kettle. You only need to bring bedding, towels and food. Breakfast can be arranged. N.B. Stairs to the accommodation on the upper floor. No smoking nor pets indoors. During peak season we rent weekly (Saturday to Saturday) only. Check in at 15.00 hours and check out at 12.00 noon (or according to agreement). We do not accept credit cards, but there is an ATM in the village. To the left of thestairs is the Maid’s room with two beds and a window facing east. 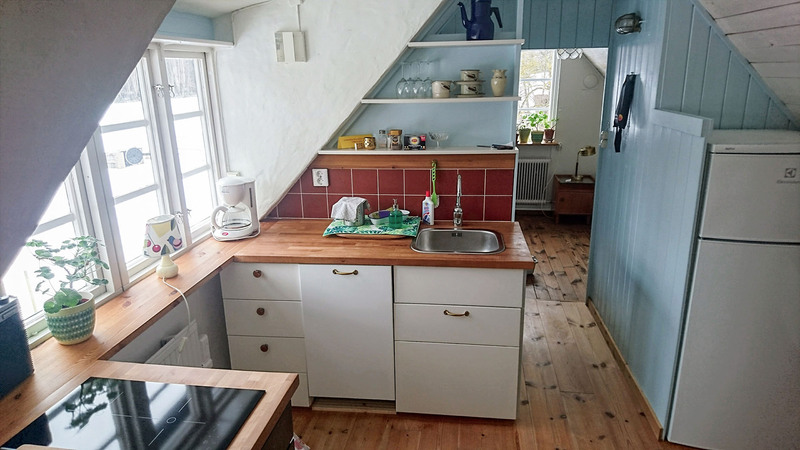 The kitchen with dining table is shared with the Loft. The kitchen is fully equipped for self-catering. In the background is the Maid’s room. 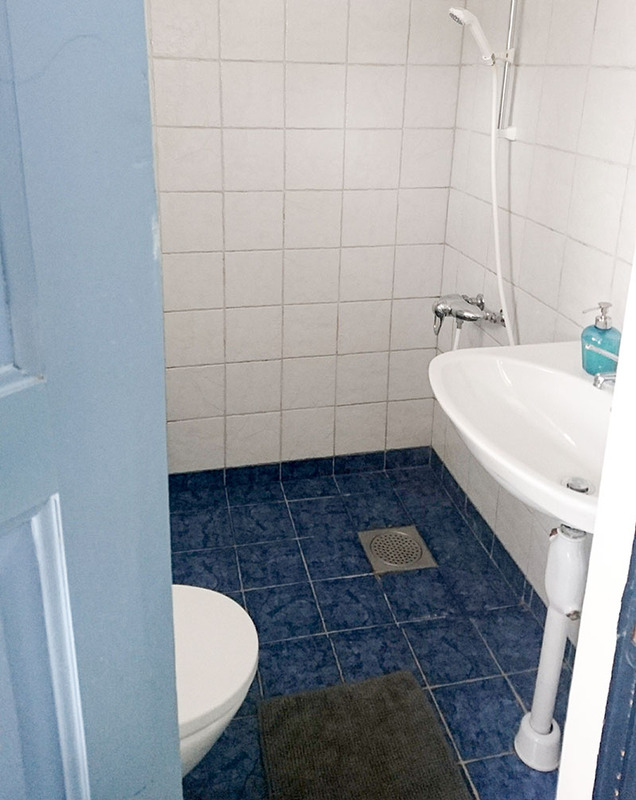 The bathroom with toilet and shower is on the entrance floor. 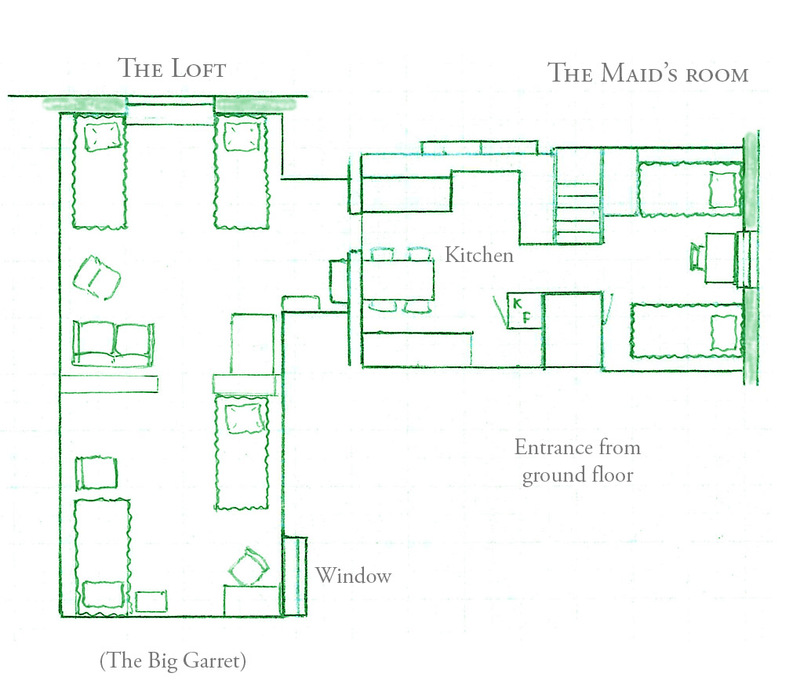 Interior planning for the loft and the maid’s room.